A tinier, cheaper X100 this is not. Most significantly, the X10's 12-megapixel sensor is a smaller 2/3-inch chip and the lens is zoomy, not an ultrasharp 35mm prime. 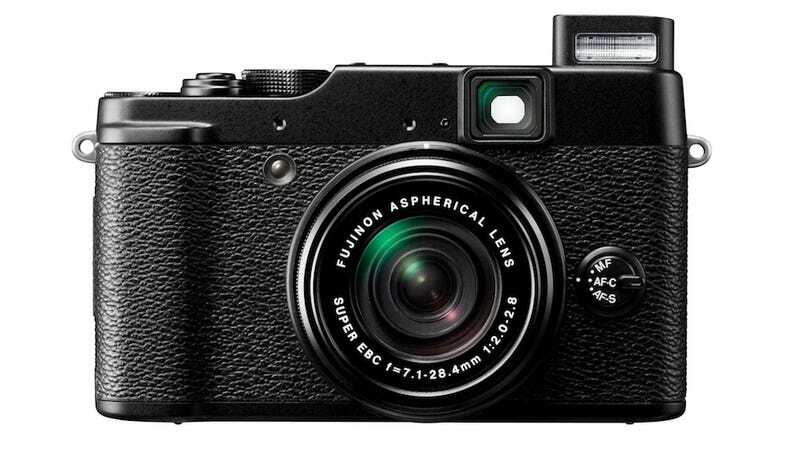 But that doesn't mean Fuji's not built a damn fine pro point-and-shoot fighter. More designed to go against high-end point-and-shoots like Panasonic's Lumix LX5 or Nikon's P7100 than a Micro Four Thirds or luxury street camera, it's got the features and specs to match those. A 12 megapixel, 2/3-inch sensor that goes up to 12,800 ISO and can handle 7 full-res frames a second. A 4x (28-112mm) zoom lens with an F2-F2.8 max aperture. The full specs are here, but they're nothing you wouldn't expect frankly—just cast in a gorgeous magnesium alloy body, so it's at least as strong as the X100.